Dies are such versatile tools! 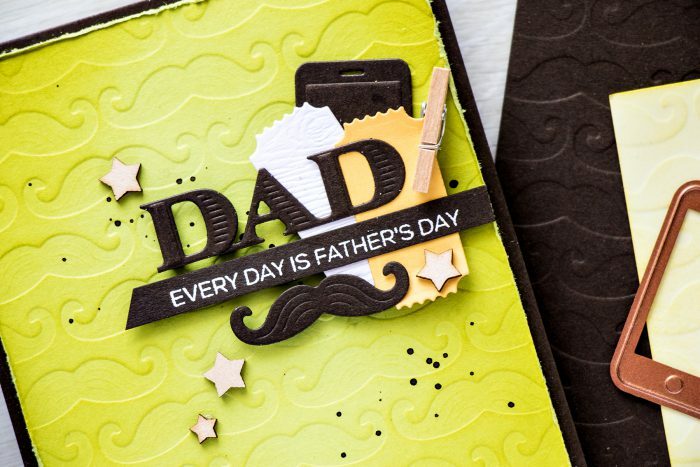 Aside from the regular die cutting you can use them to make stamps (by die cutting the shape out of fun foam, see video example HERE, HERE or HERE), make stencils (see video example HERE) and even make embossing plates! 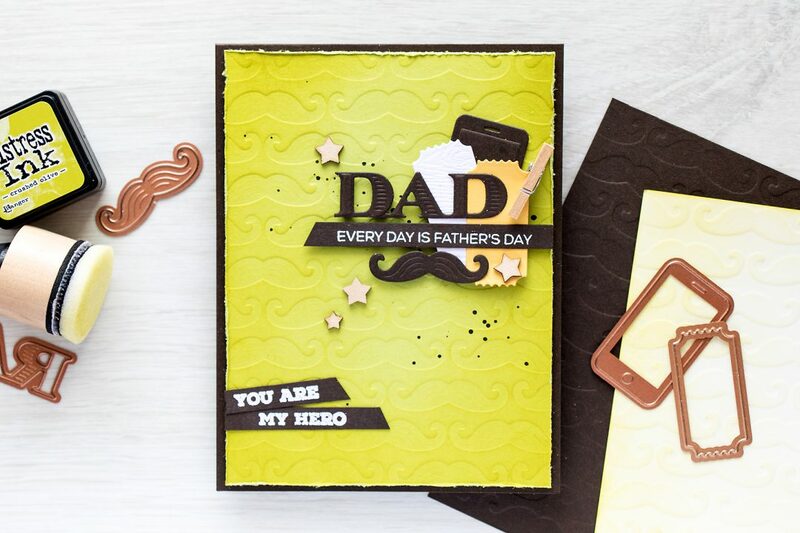 Today I’m using a tiny mustache die, cardstock and double-sided adhesive and making my own unique embossing plate. Its not difficult to create an embossing plate using dies, it is a bit time consuming, but definitely worth it in the end. Here I used only one die design, a mustache, but imaging mixing a few shapes and making something totally unique. 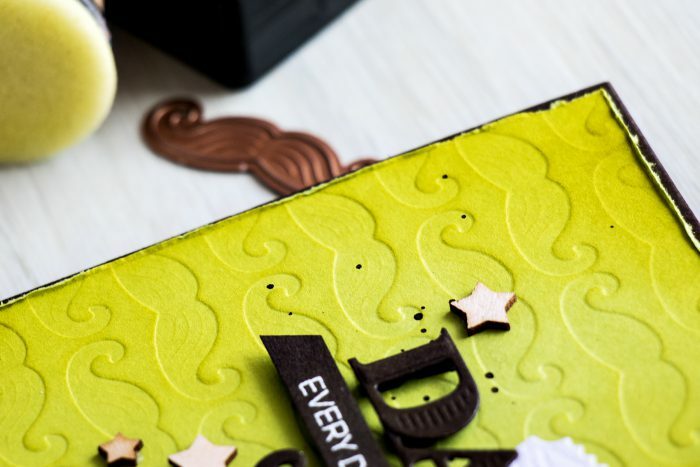 The embossing from this DIY embossing plate is not going to be as deep as say from a regular embossing folder, its going to be as deep as when embossing with a die and you can always blend some ink over it to help the embossed areas stand out a bit better. 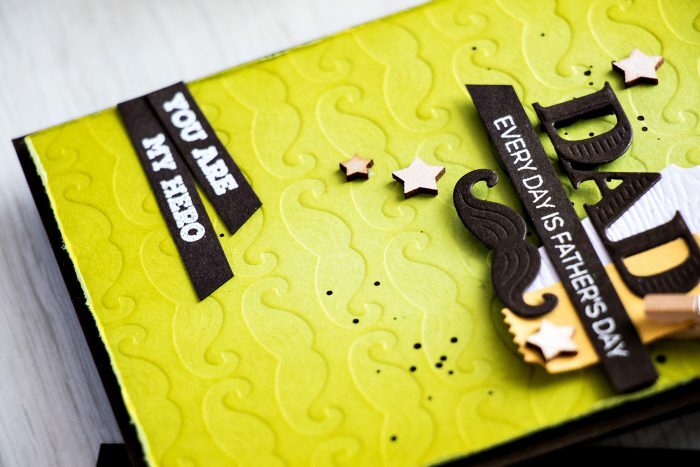 I used several die sets from Spellbinders to make this Father’s Day card – Hipster 2 and Amused 1. For the color combo I went with green, brown, yellow and a bit of white too, I think this makes up for a nice masculine card. 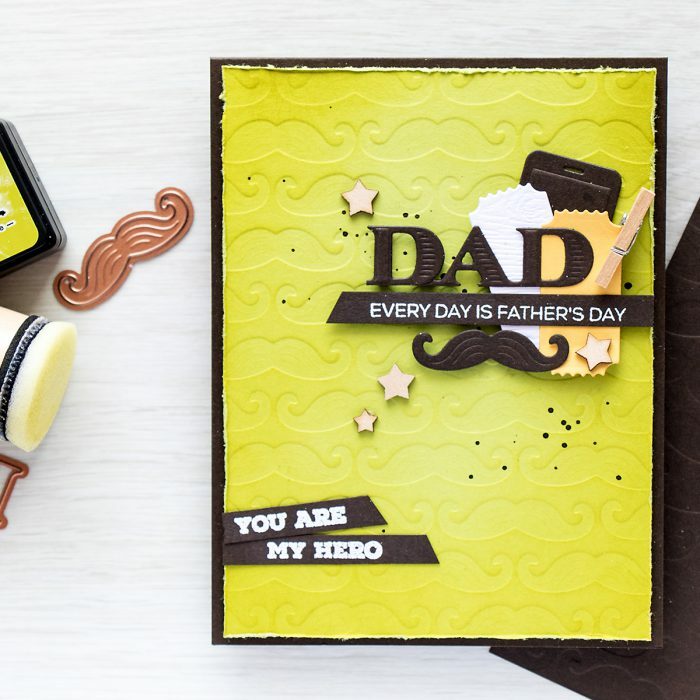 The sentiments for this project, Every Day is Father’s Day and You Are My Hero both came from one stamp set – Best Dad from Altenew and were heat embossed in WOW Bright White embossing powder. I also added some ink splatter (used my watercolors for this) and a few wooden stars to complete this card. Cannot wait till lunch to watch the video! A great card AND idea! TFS!